We get everyone around here to use our cargo bike. Even my husband's boss knows it's great for local deliveries at the flower shop. It was a busy Mother's Day week for them, and with all the vans out on further deliveries stuff still needed to get around town. 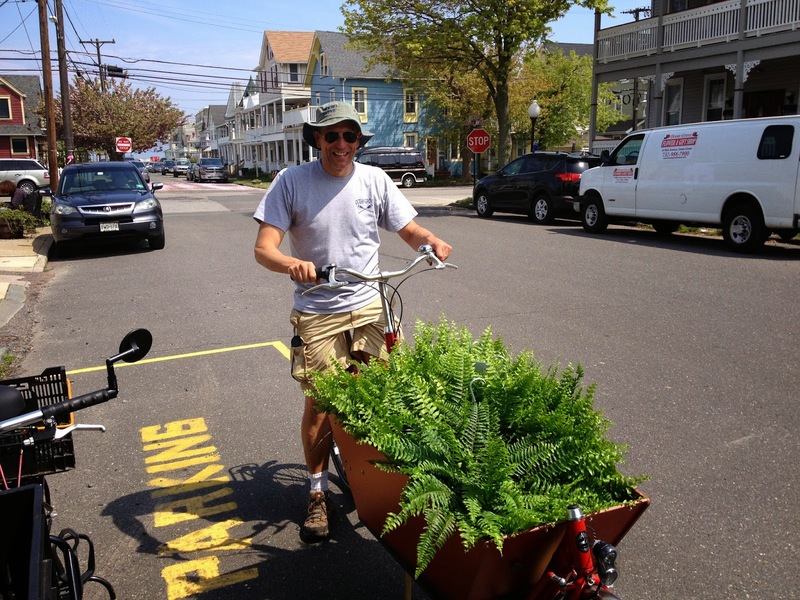 Here is Tom ready to go with a loaded bakfiets full of plants. He made a couple deliveries this way, and for as stressed as everyone was last week, it made everyone smile. I think Tom enjoyed the ride too.